On Earth, the aurora (or polar lights) are usually known as being caused by the collision of mostly electrons accelerated from the Earth's magnetotail with particles in the Earth's upper atmosphere during a geomagnetic storm. These are called the "discrete aurora", to distinguish them from the weak and featureless "diffuse aurora", which are caused by electrons dribbling in from the Earth's plasma sheet as a result of wave-particle interaction (a complicated process). There exist also proton aurora, which are caused by collisions of -obviously- protons from the solar wind with particles in the upper atmosphere. They are much rarer than the electron aurora, as the protons are usually being deflected by the Earth's magnetic field. The proton aurora radiate their light also in the ultraviolet, so not visible with the human eye. These three types of aurora are well known and plenty observed on Earth. Aurora have been observed on other planets in our solar system too. Even on Mars, which is amazing as the red planet does not have a global magnetic field such as the Earth. Instead, localized areas on Mars' southern hemisphere have retained the imprint of the magnetic field that reigned a long time ago. So, despite the lack of a global magnetic field which strongly limits the appearance of aurora, discrete auroral features on Mars were first reported in 2005 using Mars Express' SPICAM instrument, and diffuse aurora in 2015 by the MAVEN spacecraft. 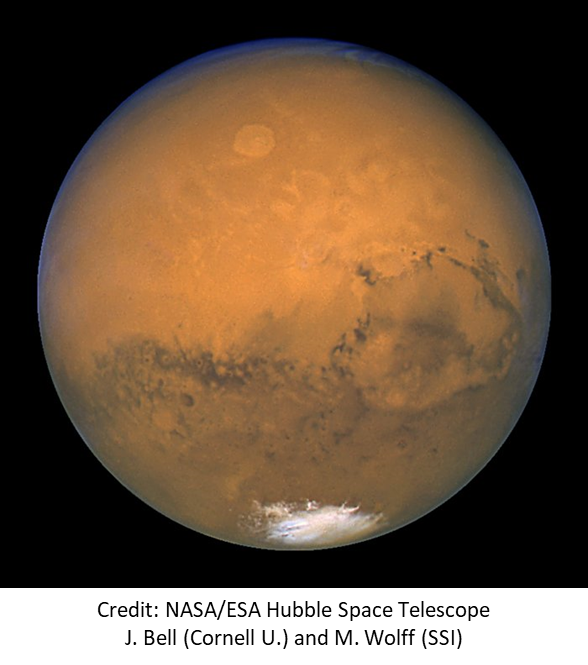 Both types of aurora were observed in the ultraviolet (UV), and on Mars' nightside. The new results obtained by the researchers from the Université de Liège (ULg), the STCE, and LATMOS-CNRS, now clearly indicate that proton aurora also exist on Mars. 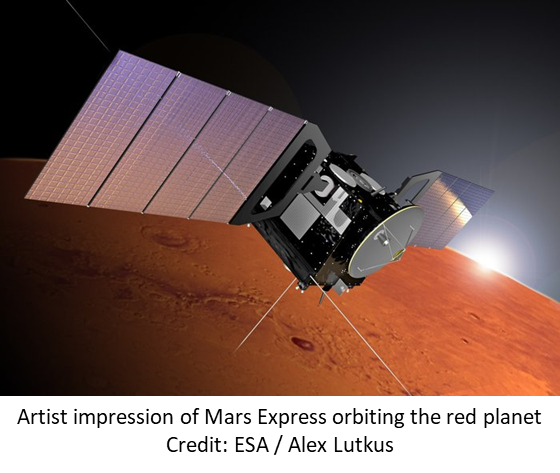 By analyzing nearly 8 years of data (July 2004 - May 2011) from the Spectroscopy for the Investigation of the Characteristics of the Atmosphere of Mars (SPICAM) ultraviolet spectrograph on board Mars Express, also the third type of UV aurora was discovered on Mars. 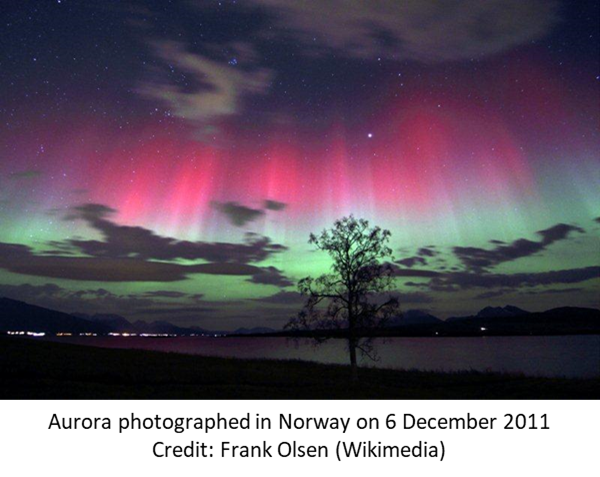 In fact, it was the first time ever that researchers were able to observe the existence of this type of aurora elsewhere than on Earth. It has been observed only on Mars' dayside as it is produced by the direct interaction of solar wind protons with the martian upper atmosphere. The auroral signature is an enhancement of the Lyman-alpha emission (121.6 nm) featuring peak emissions around 120 to 150 km in altitude. From the full SPICAM database, six clear cases of proton aurora have been found in 2005 and 2007. Either coronal mass ejections (CMEs) and/or co-rotating interaction regions (CIRs, related to wind streams from coronal holes) were identified as triggers for each of these events. Dr Birgit Ritter is researcher at ULg and STCE. Dr Luciano Rodriguez is researcher at the STCE.